They don't want Trump taking funds from military projects and disaster relief. While top Republicans on Capitol Hill now say they support President Donald Trump using executive action to transfer funds to pay for his proposed border wall, just days ago some GOP senators opposed the idea and others are worried he'll take money from projects important to them. If Trump signs the border security deal, which provides $1.375 billion for physical barriers, he will likely also attempt to use his authority as president to reprogram billions in government funds to make up the difference -- in order to reach or go beyond his demand for a $5.7 billion down payment on the wall, sources have told ABC News. Any such executive action is likely to face steep legal hurdles. (Chip Somodevilla/Getty Images) Senate Armed Services Committee member Sen. James Inhofe (R-OK) arrives for hearing about the Pentagon budget in the Dirksen Senate Office Building on Capitol Hill. March 17, 2016. 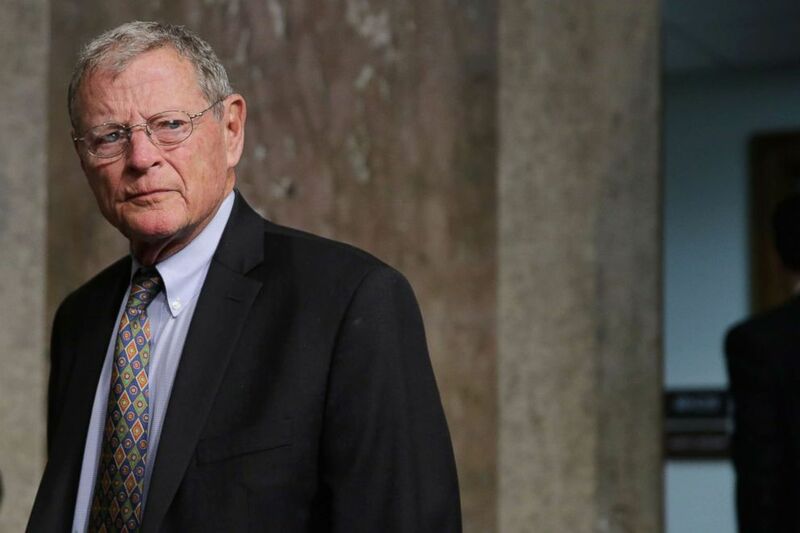 Senate Armed Services Committee Chairman Jim Inhofe, a staunch Trump ally, has personally warned the president against pulling money from military construction projects, saying it should come from the Army Corps of Engineers instead. Military construction projects are often highly popular with lawmakers and their constituents. There’s also concern among some Republicans that Trump could reprogram funds meant for disaster relief for states like California and Texas, which were hit hard by the onslaught of recent hurricanes, fires and flooding. “We strongly support securing the border with additional federal resources including tactical infrastructure, technology, ports of entry improvements and personnel,” they wrote. “However, we are strongly opposed to using funds appropriated by Congress for disaster relief and mitigation for Texas for any unintended purpose. As Texans continue to rebuild and prepare for future disasters, these funds, appropriated by Congress to be spent directly on rebuilding and mitigation, are critical to helping our communities recover, preventing future flooding and protecting our constituents,” they said. 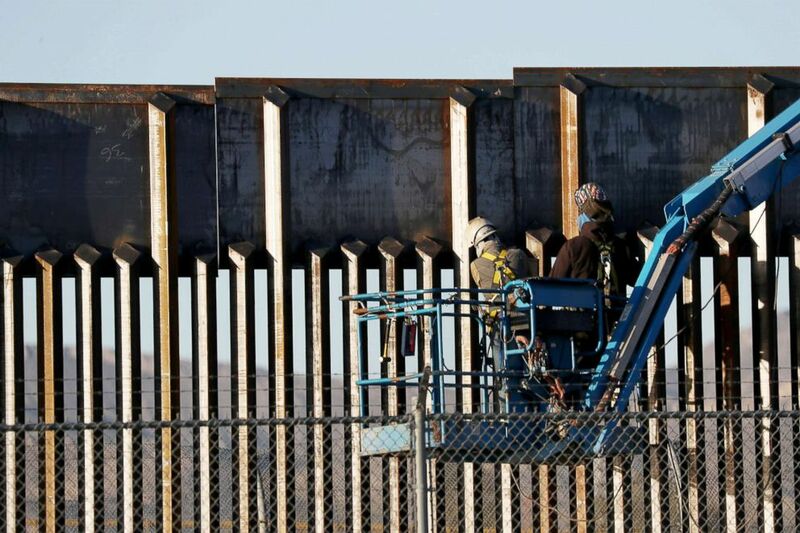 (Joe Raedle/Getty Images) People work on the U.S./Mexican border wall, Feb. 12, 2019, in El Paso, Texas. However, it’s unclear how much money the administration would be able to take from other Defense Department accounts to bolster counter-drug funding. Only $4 billion in total can be reprogrammed across the department each fiscal year, and it’s unlikely that all of that money is available. But funds can be reprogrammed from almost any department account, not just the military construction and Army Corps of Engineers budgets, which have been under consideration. Lawyers at the White House, at the Department of Homeland Security and at the Pentagon have for weeks been ironing out the different options the president would have to obtain funds. Sources caution that a way forward is not yet locked in and as of Wednesday afternoon nothing had been finalized. In addition to reprogramming funds under the federal statute, Trump could declare a national emergency to redirect funds. If he were to transfer funds using both options, allies of the president have indicated he could go well beyond the $5.7 billion in funding for his border wall. One of those allies - Senate Judiciary Chairman Lindsey Graham, who has spoken to the president about the deal, said Wednesday a national emergency declaration is still on the table. “There’s some accounts he can access that would give him more money, but I’m not so sure you can get $5.7 [billion] that way," Graham said. “I think the president is inclined to accept the agreement and move on and try to find money elsewhere and most likely declare an emergency, I think is generally the plan," he added. Members of Trump’s own party are cautioning him that Congress may be forced to act if House Democrats force a vote on a resolution of disapproval should Trump declare a national emergency. “I'm for whatever works, which means avoiding a shutdown and avoiding the president feeling he should declare a national emergency,” Senate Majority Leader Mitch McConnell told reporters during a news conference last month. McConnell expressed the same view on Tuesday. “... I think he ought to be free to use whatever tools he can legally use to enhance his efforts to secure the border. So, no I would not be troubled by that,” McConnell told reporters when asked about the possibility the president might use his transfer authority to move money around.